Dive on in - but pool or sea? Basking under the Sicilian sun, an aristocratic family built this gorgeous water-side mansion in 1830 and today Belmond Villa Sant’ Andrea still retains the charm and intimacy of a private residence. With all the comfort we know you expect from a truly luxurious hotel; stunning rooms, immaculate gardens and a private beach right on your doorstep, this is the perfect spot for a sun-drenched Sicilian escape. Set on its own exclusive crescent of sand, Belmond Villa Sant’ Andrea is tucked away in the dreamy blue of the Bay of Mazzarò, right in the heart of Taormina’s seaside district. 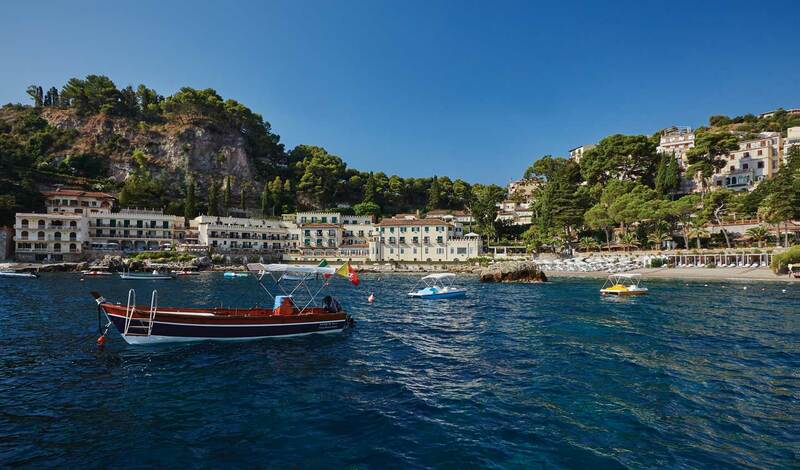 The bay is dotted with magical little caves to explore and Taormina’s stunning cliff-top town, just a three-minute cablecar away, is famous for its Greek amphitheater with views unrivalled on the island. 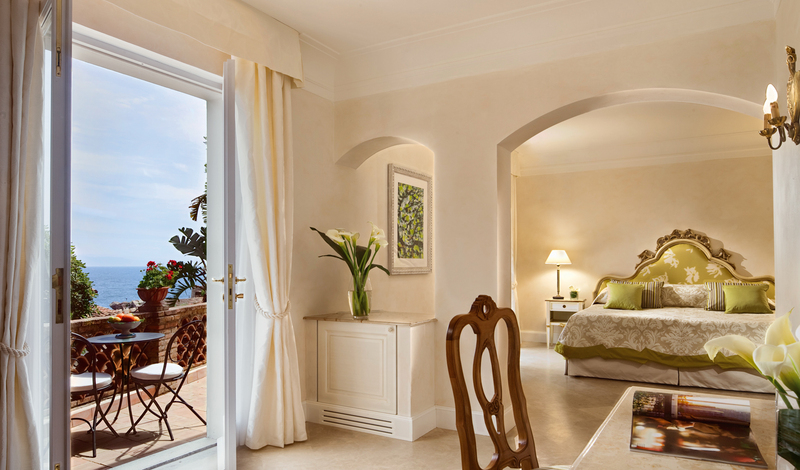 Classical elegance oozes from each and every one of Belmond Villa Sant’ Andrea’s sixty rooms. Muted, neutral tones create a haven of calm with draped fabrics and rich silk adorning the ornate beds and antique furniture. Nearly all the rooms and suites come with balconies or terraces overlooking the sparkling sea and rocky headlands of the bay. This place couldn’t get any closer to the water if it tried. The gorgeous new infinity pool is right on the sea and the hotel’s boat trip can take you sailing along Sicily’s beautiful East coast. Visit secluded coves and the magical Grotta Azzurra (the Blue Grotto to you and me) with its vibrant underwater life. Top this off with the mouth-watering seafood served up at the hotel’s beachfront restaurant and you’ve got yourself one seriously special seaside retreat.